The High Court in Lilongwe Tuesday sentenced to five years Imprisonment with Hard Labour (IHL) three out of 10 people convicted of charges of stealing K201 million from the government. The offences were committed between November 2010 and June 2011. On January 10 2019, Judge Charles Mkandawire convicted the 10 for the offences of conspiracy to defraud, theft and money laundering. Mkandawire sentenced Emmanuel Yesaya, Tendayi Nayeja and Conrad Nambala to five years IHL for the offence of money laundering, four years for theft and two years for the offence of conspiracy to defraud. The sentences, according to Mkandawire, are to run concurrently. The judge said the three were in category of those who received money ranging from K20 million to K40 million. Other convicts in the case, who according to Mkandawire received money ranging from K10 million to K20 million, were Cornelius Kaphamtengo, Yvonnie Kaphamtengo, Chikondi Chimutu and Deusdedit Tenthani. They were sentenced to four years IHL for money laundering, three years for theft and two years for the offence of conspiracy to defraud. The sentences will also run concurrently. Squire Chakwana, Wides Mbuliro and Tapiwa Ng’oma, who, according to Mkandawire, received money ranging from K5 million to K10 million, were each sentenced to three years IHL for the offence of money laundering and two years each for the offence of theft. They also got two years IHL each for the offence of conspiracy to defraud. The sentences will also run concurrently. This means all the 10 convicts will be in prison for a time ranging from three to five years. Mkandawire said the sentences were with effect from January 10 2019, the day he convicted the 10. “I have taken into account all their mitigation factors. I gave them a benefit of my leniency that the sentences should be concurrent,” Mkandawire said. When he was about to pronounce the sentences, Mkandawire told the jam-packed court that he was going to give the convicts a custodial sentence. “The action of the defendants deserves a meaningful sentence. Offences of theft and money laundering are serious and require meaningful sentences. The most suitable sentence is a custodial sentence. It would be an insult to sentencing if any of this would walk free from these court having been given a suspended sentence,” Mkandawire said. 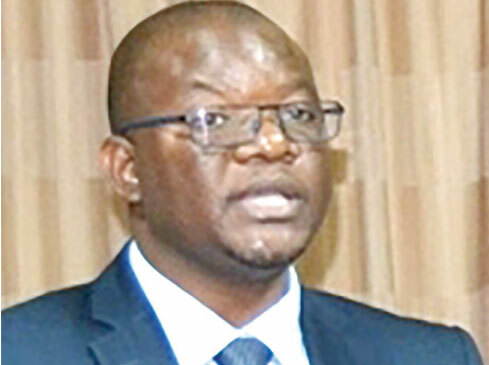 Anti-Corruption Bureau (ACB) Director General, Reyneck Matemba, has said the 10 convicts were lucky “We accept the sentences the High Court has meted out but we feel they have been lenient. But as the judge said he was guided by the law, a lot of sentencing principles. I consider all the convicts lucky to have received five years for money laundering,” Matemba said. In January, Mkandawire convicted Cornelius Kaphamtengo and Yvonie Kaphamtengo, owners Nova Technologies, and the eight people who were working as government accounts personnel. The K201 million was stolen through five government cheques deposited into the account of Nova. Tom Sangala – who has written 3250 posts on The Times Group.